A joint effort of the Seattle Foundation, the Seattle/King County Department of Public Health, and the King County Department of Community Health and Human Services, COO is premised in the idea that addressing upstream social determinants is critical to addressing health, and that data is the key to driving action. These maps then informed the COO’s grant program, which targeted investments in King County’s communities of greatest need. Since 2014, COO has invested $1.5 million in organizations specifically aimed at reducing neighborhood-level health disparities through housing, food access initiatives, transit-oriented development, and other place-based strategies. Where You Can Find it: Read more about how these maps drove local actions in What Counts: Harnessing Data for America’s Communities, published by the Federal Reserve Bank of San Francisco and the Urban Institute. View recent health maps and learn about the COO’s latest progresses on the King County Community and Human Services website. Revisit the Network’s August 2015 live online discussion for Dr. David Fleming’s firsthand insights on the power of data and the value of cross-sector collaboration. 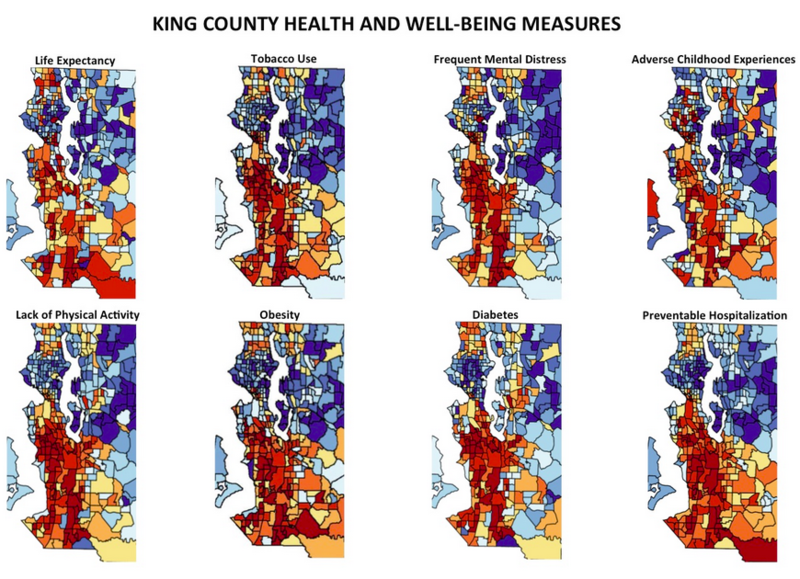 These maps show census-tract level health disparities among King County adults. Dark red shows areas with highest rates; dark blue shows tracts with lowest rates. Joshua Fisher was born and raised in Bakersfield, California. He then attended UCLA, where he received his BS in Biology. 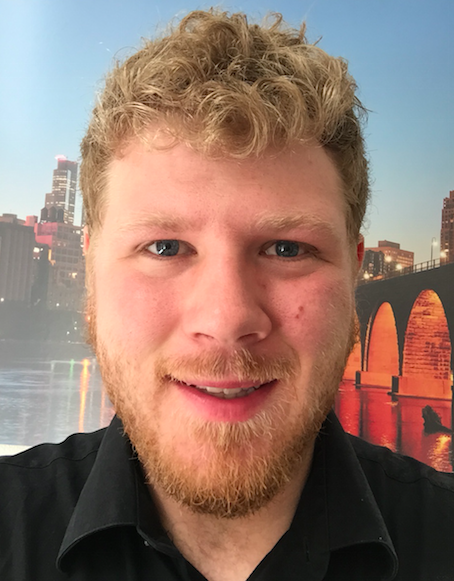 Josh does research for the Build Healthy Places Network, where he is fulfilling his field study for his MPH at Touro University California. He will receive his MPH at the end of the year. At Touro, he is studying the effect of Subjective Social Status on a variety of health outcomes with Dr. Miranda Weintraub, Dr. Nancy Adler (UCSF) and Dr. Aric Prather (UCSF). He has also started coursework for a second masters, in biomedical imaging from UCSF with an expected graduation of August 2016.